Pixel Dust Photo Art: Are you ready for Photo Art Friday? Are you ready for Photo Art Friday? Hope all is well with you. All is good with me - still painting my little fingers to the bone - trying out different paint mediums, tools and styles. Some of my painting experiments are decent ... most - not so much. However, the occasional success keeps me trying for more. I'm quite enjoying the mess and unpredictability of it all! Have to admit that if I have the choice of making art on my computer screen or art on a canvas, I prefer the canvas ... for the moment, anyway. But I certainly do not want to forget all the programs, techniques and digital manipulations I worked so hard to learn, so I am still taking photographs and editing the occasional one into a piece of 'art' so as not to fall too far behind with my digital art-making skills. If you are interested in creating art from your photographs, I'm sure you have many photos of flowers in your archives. 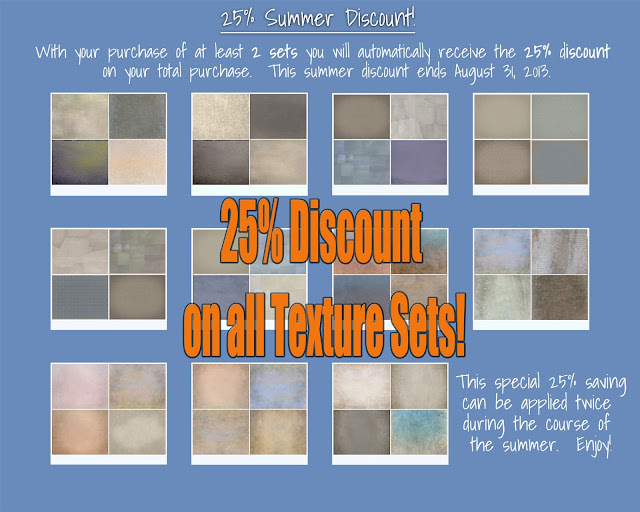 If you have been following Pixel Dust Photo Art for a while, you must have several of my free textures in your archives. That being the case, you are all set to create a piece of flower photo art to share in our up-coming virtual art gallery called Photo Art Friday! The next edition of Photo Art Friday is Friday, August 2nd - 3rd. However, the in-linkz button will be up and ready for your photo art submissions (as always) on Thursday, August 1st! That's just eight (8!) days away! While you can always share any piece of photo ART with Photo Art Friday, we also have an optional theme for each edition. 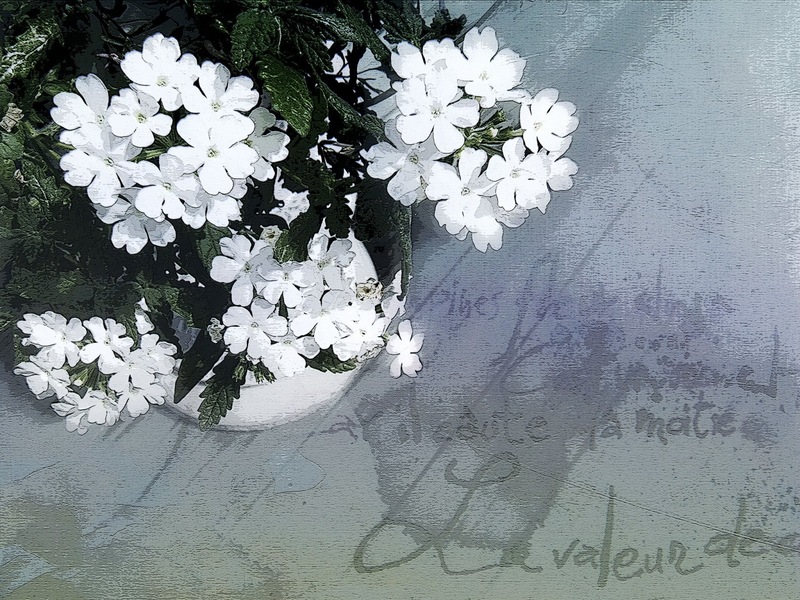 A piece of FLOWER photo art made using any Pixel Dust Photo Art texture. If you are in need of a texture to create your art piece for PAF, you can find a free download of one called "Sky Love", in this previous post. If you are in the market for some of my unique textures, the 25% off sale continues until the end of August. Check out either of my shoppes by clicking on them on the bar under the header! I've been playing with various mediums as well from tar gel to Brusho watercolour paints, gelatin monoprinting and attempting Romanian Point Lace. Experimenting and learning is always so exhilarating :).